I couldn’t tell exactly what it was … was it an oversized nightstand? Like maybe what you’d find between the beds in a hotel room? It really wasn’t a “dresser” dresser. It was too small to be a dresser but too big to really be classed as a nightstand. Anyhoo… it was ugly! 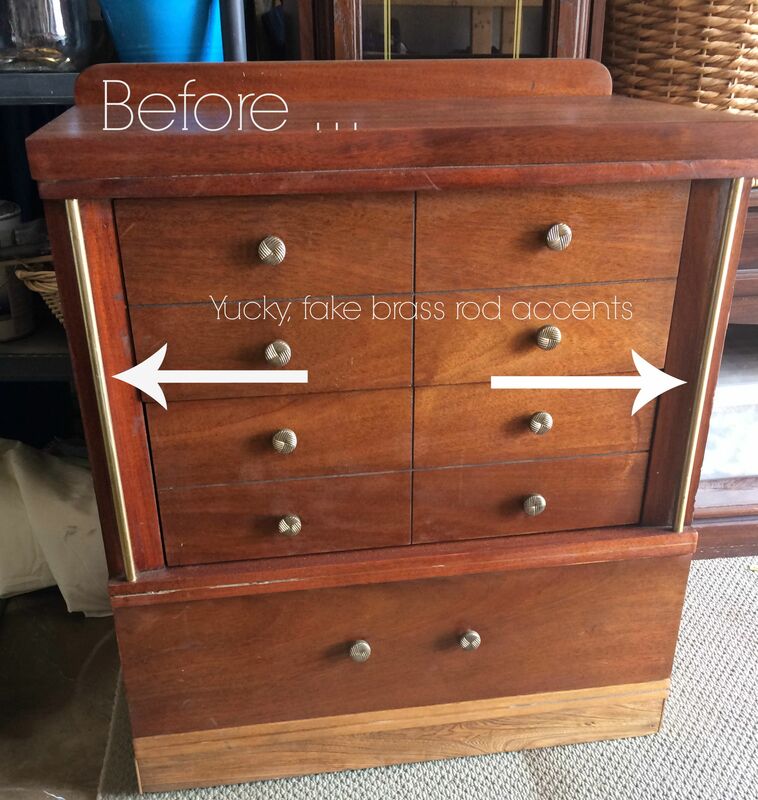 I started off by removing all the hardware and tearing out the fake brass rods on each side of the drawers. There are actually only 3 drawers here. I filled in all of the holes with wood filler as well as the horizontal groove in the middle of the two top drawers. After the wood filler was dry and set I sanded it smooth and started to painting. 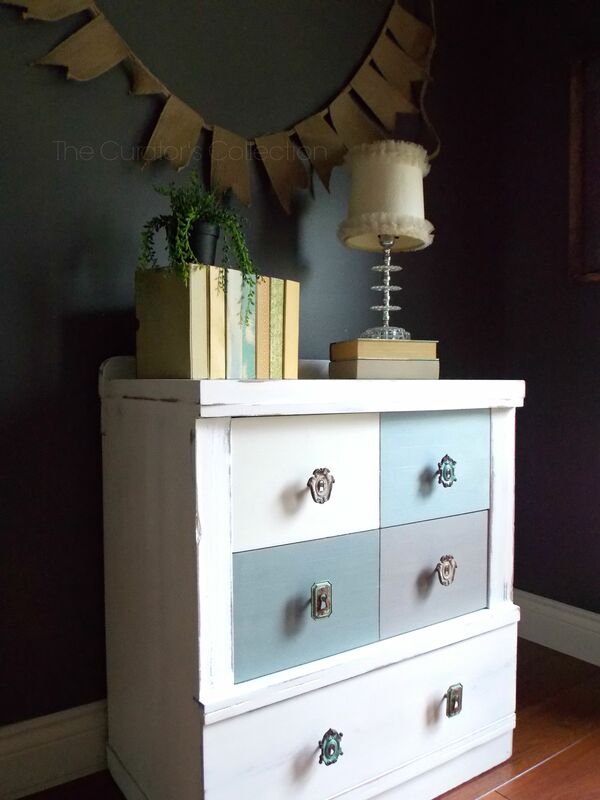 I decided to use chalk paint for this project. 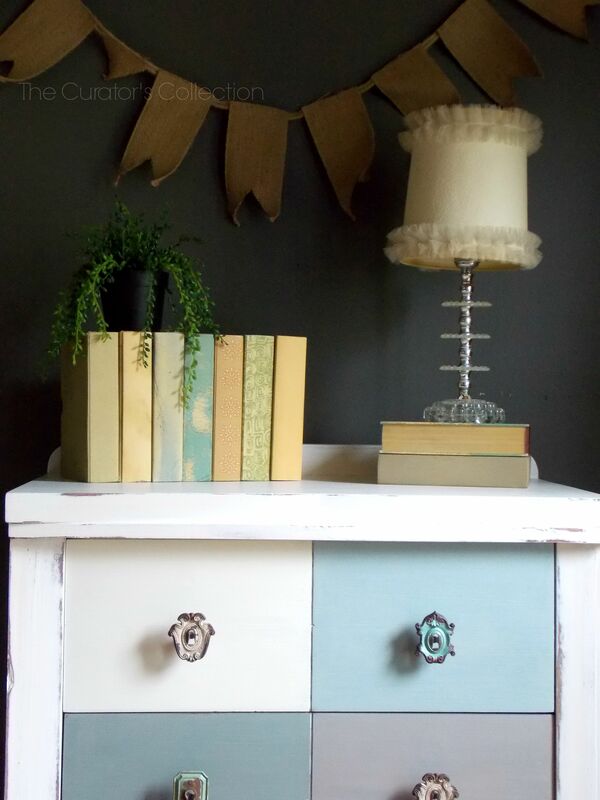 I have been using alot of Milk paint lately and felt the need for a change. 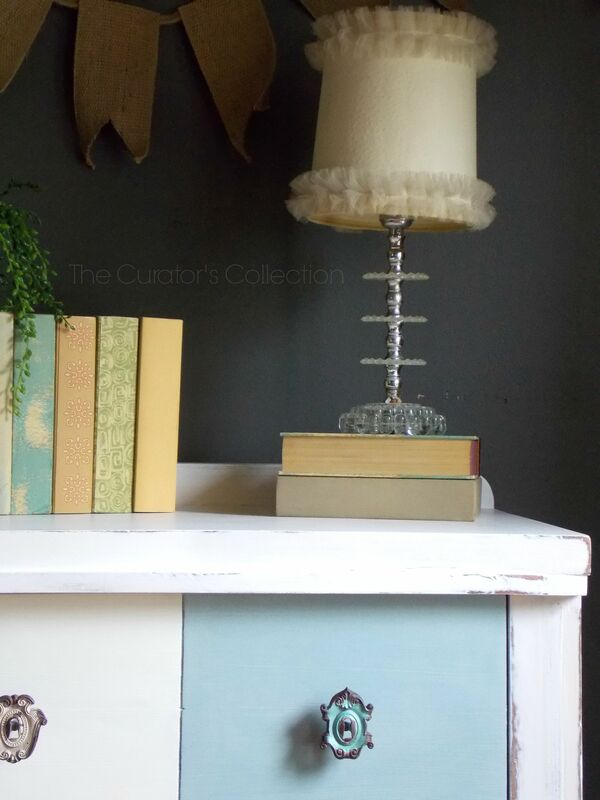 I bought a few of the sample jars of the American Chalk Paint Co. and also used some that I already had. 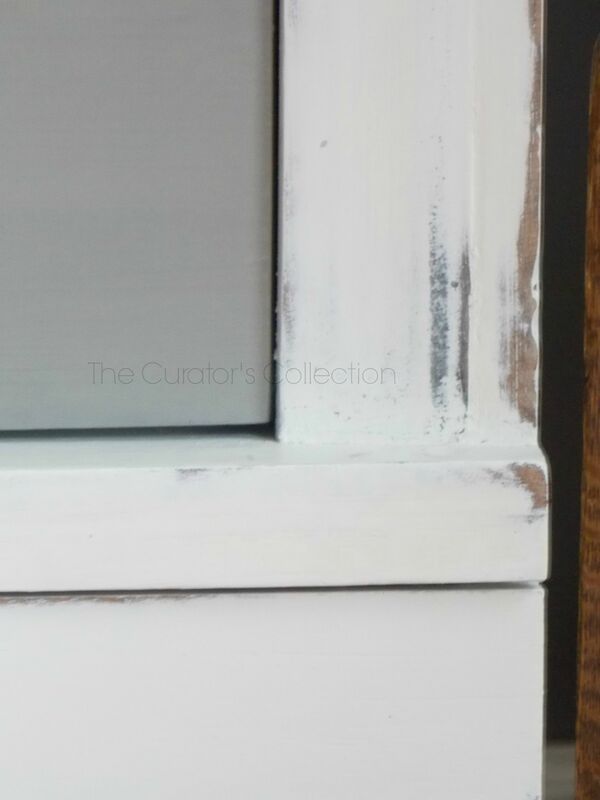 After sanding the whole piece smooth I finished it off with a generous coat of clear wax. 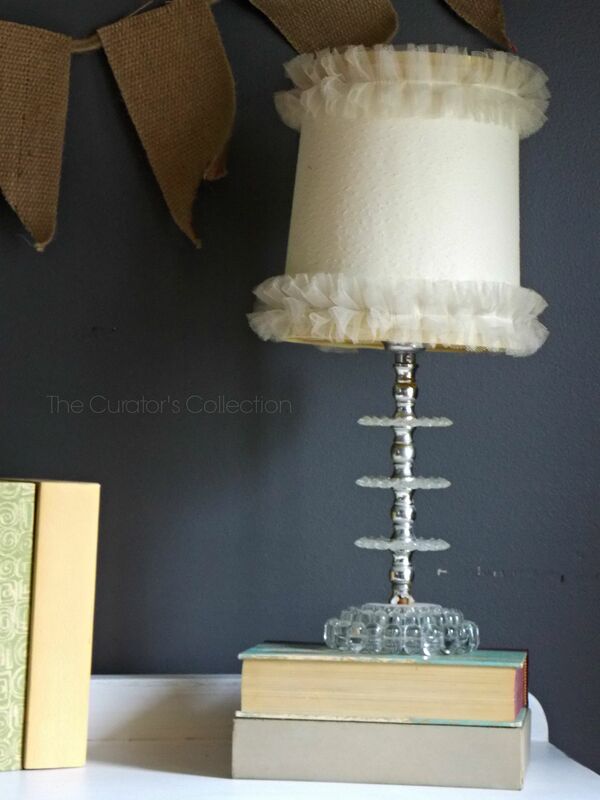 I think this little lamp is so sweet. I was at a garage sale the other day and the lady having the sale insisted I just take it. I’m glad I did. It is so cute and makes a great prop! That is such a great piece and palette! Love it! 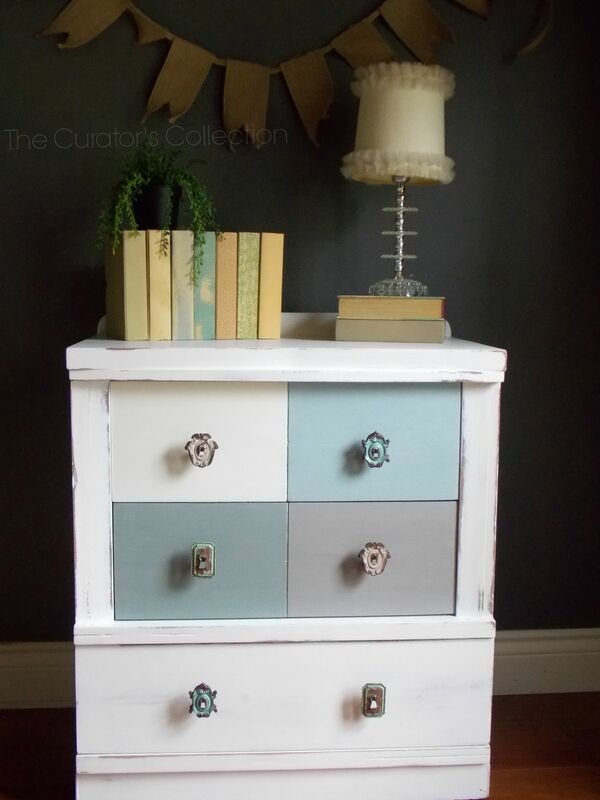 That is stellar and I love the whimsey of the drawers colours and pulls. So my style. So cute!! 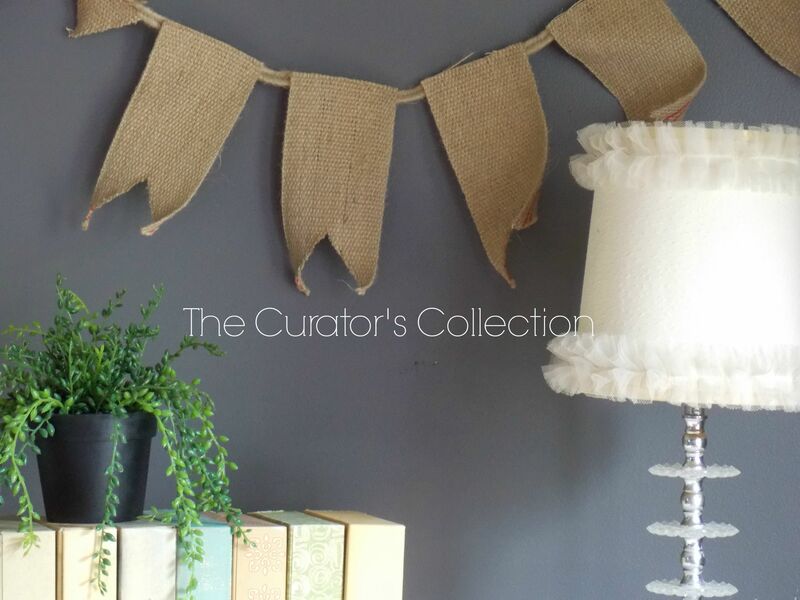 I hope you join in some of your awesome stuff this week on my linky party! I’d love to show you off!! Haha maybe when I go visit edm again some day. I’m very proud of your linky party btw. Well done! Thank you so much!!! It is a little slow growing but it is coming along just lovely! ;) btw … your’re the best! What a great save! 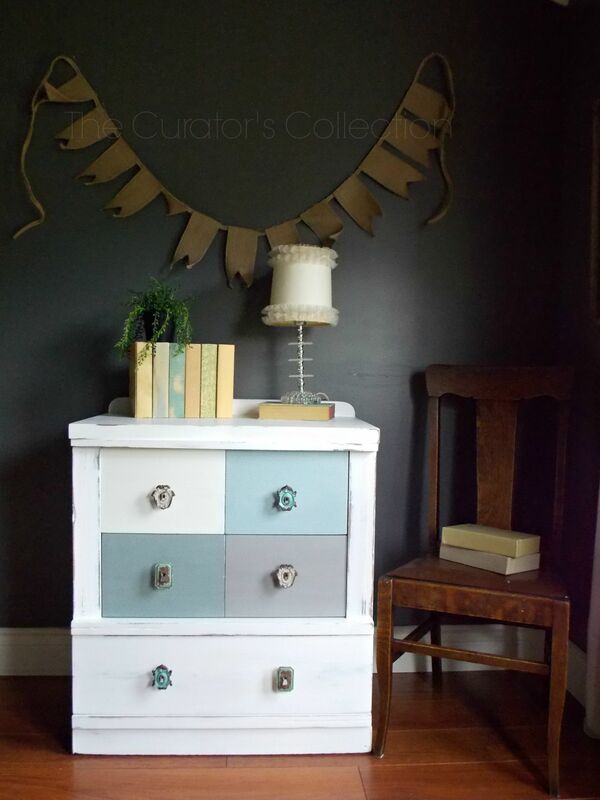 I have those drawer pulls too, and haven’t been able to figure out what to put them on yet (except one cabinet in my photo cottage). They were perfect for your piece! Thank you Quandie! There are so many unique and pretty pulls out there but it’s hard to match them up to the right piece sometimes! I think I’m a bit of a hardware hoarder! Ha! I hope you will join in on tonight’s party! Thank you so much Deb! Thank you for hosting this great party! Love your work! Oh my goodness Terry do you have me swooning over this stunning makeover. 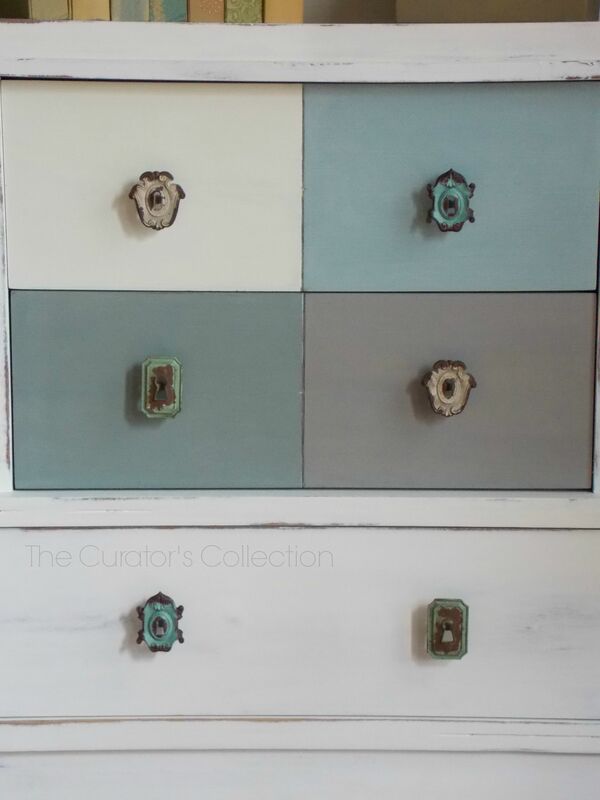 Everything about it is gorgeous from the style of the chest of drawers, to the soft muted paint colors, to those fabulous knobs! I’m featuring it this weekend at the DIY Sunday Showcase Party! Oh Thank you for such sweet compliments Marie! It didn’t take long for this one to leave my booth! It’s one of my favorites! I’m honored to be featured this week! Thank you! Wow! From ugly duckling to beautiful swan! Those pulls are just perfect, too. Great job! Thank you for taking the time to stop by and leave such a nice compliment Audra! I hope you have a great week!